Will they remain elevated if/when they reach record nominal and/or inflation-adjusted highs? Truth be told, all of us are “inquiring minds who would like to know.” We want to believe that someone somewhere can predict the future. So we seek out gurus who might have special knowledge that puts us on the inside track. It could be on a site like GoldSeek.com, where newsletter writers publish a portion of their work a short time after subscribers have read the current issue (perhaps from a subscription costing $10 a month…or $3,000 a year). At the edge of propriety, a small number of “tire kickers” – the bane of the subscription newsletter industry – sign up, take a position in the recommendations, and then cancel their subscription. A subset of this is the legitimate subscriber who, as soon as a new issue comes out, buys the stock pick without even reading why it’s being recommended! Beyond the fact that they will always need to be given the proverbial fish rather than learning how to fish for themselves – their fickle behavior causes them to view the future through a short-term, near-sighted lens. They will never be able to establish a core position, hold onto it for the majority of a bull run, then sell into a late-term rise for a substantial profit. An example from my past might be instructive. In 1980, I went to San Francisco to attend my only investment conference during that historic precious metals’ bull run. (It ironically ended the same year.) All the luminaries of the day were presenting. A few, such as Doug Casey, are still active in the business. For this attendee, there were two speakers of particular note – indeed they were the pre-eminent gold and silver gurus of their day – Harry Browne and Jerome Smith. Harry had made a particularly large splash in the 1970’s when he wrote the prescient titles How You Can Profit from the Coming Devaluation, and New Profits from the Monetary Crisis. He had discussed dollar devaluation vis a vís the Swiss Franc, the little-understood (even today) corrosiveness of “moderate” inflation on the average person’s wealth, and the historic role played by holding real money – gold and silver – in one’s possession. 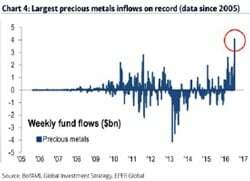 At first, just like now, few paid attention, because they saw no reason to hold onto something that “didn’t pay interest.” But by early 1980 in the major cities, there were lines around the block in front of coin shops to buy gold and silver. When silver was trading for $4, Jerome Smith had written Silver Profits in the Seventies, with the “wild” prediction that silver would hit $50. By the 1980 San Francisco Conference, it had done just that. Having invested in physical silver and gold and Swiss franc futures based upon Browne’s predictions, I had built up a large “paper profit.” Harry, the keynote speaker, told the audience that the silver bull market, now trading in the mid-$40 range after having touching $50 the ounce, would be in jeopardy if the price dropped below about $37.50. After hearing the guru speak, my first inclination was to go out on the break and place a stop loss to sell silver if it fell below that $37.50 level. But then… Jerome Smith rose to speak. Smith (no relation to me) was now talking about $100 silver! The world was going to run out, with the price destined to double from his original prediction! So, no action was taken on the stop loss! Soon thereafter, the price dropped below Harry Browne’s price point, on its way first to $10.80, a bounce to $25, and then a two-decade-long decline to $5. My big mistake? 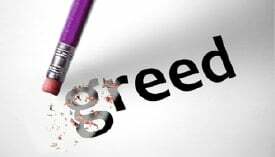 Not greed (Honest!) but rather, a fixation on a specific price point rather than paying attention to the market’s prevailing structural integrity (or lack thereof). I knew the market was at risk from a technical perspective, and I was aware that the Hunt Brothers were getting boxed in on the exchanges. This conceptual error in thinking is equally instructive for today’s rising market. Try not to focus on price predictions, but rather gauge the market’s internal strength, the dominant trend, and where we are on that continuum. The new book David Morgan and I will soon publish, Second Chance: How to Make and Keep Big Money during the Coming Gold and Silver Shock-Wave, includes more detail about this event, wherein I was able to speak with both Harry Browne and Jerome Smith that day. That incident, and many other topics we discuss, can help inform your own decision-making during the coming years. 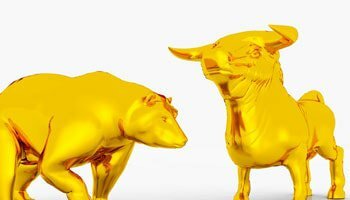 What follows are two pieces of counsel – one each for gold and silver – that are the types of information you should pay attention to when looking for big picture (both fundamental and technical analysis) data supporting the bullish thesis. Now we come to the present day and having spent exactly four years under the moving average, silver broke clear this May with monthly silver closing at $15.99. Based on our prior examples, this suggests that silver has now entered a new multi-year bull market. Processing information like this can “keep your picture big enough,” and help you avoid getting caught up in the game of allowing your decisions to be driven by specific price expectations.